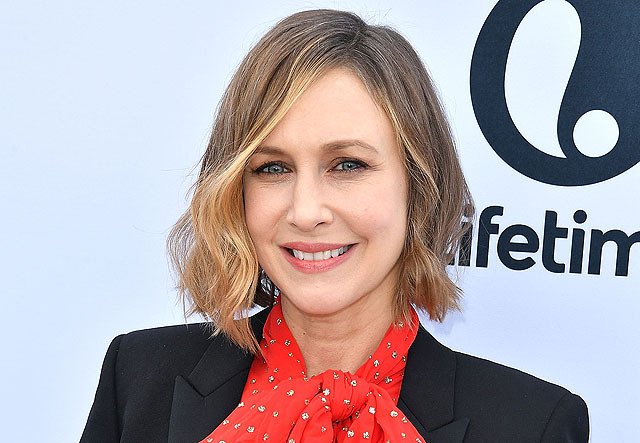 With Kyle Chandler (Super 8) having already been cast to play the father of Millie Bobby Brown’s character in Legendary and Warner Bros. Pictures‘ Godzilla: King of the Monsters, Variety is reporting that Vera Farmiga (The Conjuring 1 & 2, Bates Motel) has signed on to play her mom. Brown, as Stranger Things fans well know, was the breakout star of the hit Netflix series and the first name announced to headline the upcoming Michael Dougherty (Trick ‘r Treat, Krampus) sequel to Gareth Edwards’ 2014 Godzilla. The previous Godzilla brought in $529 million at the global box office and starred Aaron Johnson, Ken Watanabe. Elizabeth Olsen, Sally Hawkins, and Bryan Cranston. The trade notes in today’s report that Watanabe’s character is likely to return for King of the Monsters. Dougherty is also writing King of the Monsters, which has not yet revealed official plot details. Legendary previously announced, however, the addition of several more famous Toho kaiju, including Rodan, Mothra, and King Ghidorah. King of the Monsters is part of the Legendary and Warner Bros. cinematic Monsterverse, which also includes the upcoming Kong: Skull Island, due out in theaters on March 10. Following King of the Monsters on March 22, 2019, there are plans for a Godzilla vs King Kong feature film, set for a May 29, 2020 release. RELATED: Will Kong: Skull Island Feature Post-Credit Teaser for Godzilla 2? What do you think of the addition of Vera Farmiga to Godzilla: King of the Monsters? Who else would you like to see appear in the 2019 release? Let us know your thoughts in the comments below!